Today at the grocery store I came across a brand of bread of which I had never before seen or heard. My first thought upon seeing the bread was, "who, on God's green earth, would name their bread after sleazy woman?" 2. Slang A vacuous person: "a male bimbo ... who even has to be tutored ... in the clichés that comprise the basic interview" (George F. Will). It wasn't until I turned the loaf over that I realized the brand's first vowel is meant to be pronounced as /i:/ and not /I/. When I did a bit of research, I was surprised to see that Bimbo Bakeries USA owns brands that include: Arnold, Boboli, Entenmann's, Sara Lee, Thomas' and more. 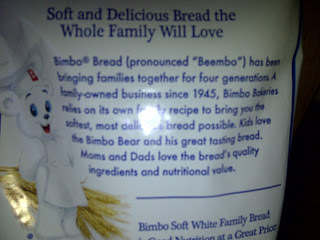 How had I never heard of Bimbo Bakeries if they own all of these brands that I purchase on a regular basis? Their website's history link provides the answer; it wasn't until the 2000s that they began acquiring other companies that owned the brands with which I am familiar in Michigan. In all fairness, the word bimbo does have a different definition and pronunciation in Italy where the parent company originated. "Bimbo" is a common nice word, used as a diminutive of (male) child. Child = Bambino = Bimbo. For US marketing purposes, however, I would think the company would use a different name for their bakery products. 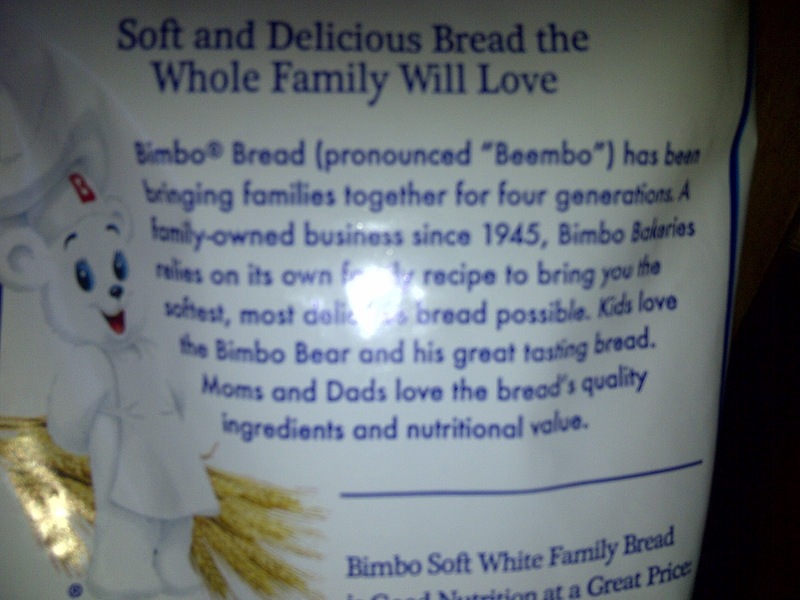 I am Italian and the word bimbo associated to a bakery product simply doesn't sound right to me. Nowadays I don't think anyone in Italy would use it to name any food new on the market as it would sound old-fashioned (the English word would be more likely!). Incidentally, in Italian we say /ˈbimbo/, with a "short" vowel, so the "beembo" approximation doesn't sound terribly right either. Licia - Thank you for reading and commenting. I was hoping someone with knowledge of Italian would. Oops, it looks like I forgot to specify which English word I meant. It was baby. bimbo is also a soft drink brand out of Peru. Coca-Cola owns it now. 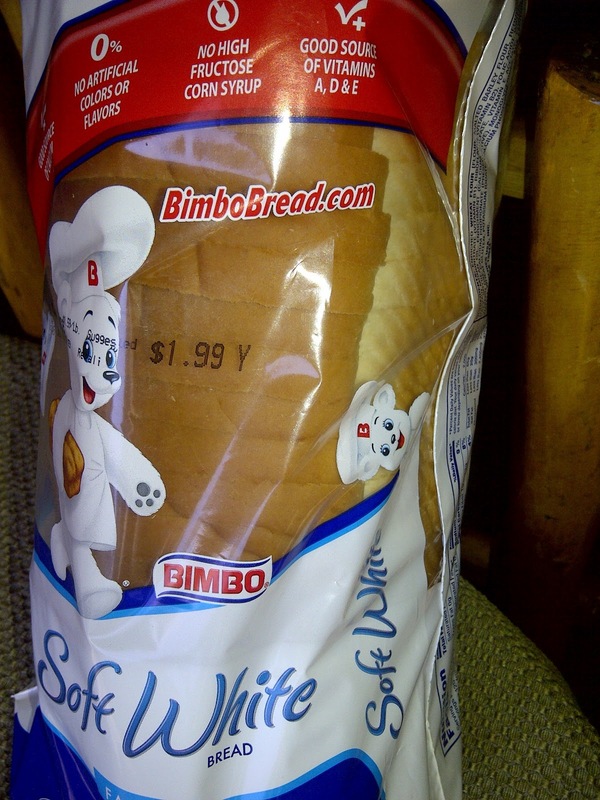 That's right: You can get a Bimbo from a vending machine in Peru. 4ndyman - That is too funny. Thank you for bringing this to my attention. In portuguese it means "douchebag".